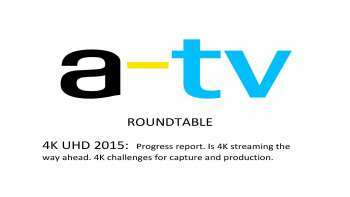 Ultra HD 4k is very much the next step for broadcasters and pay-TV providers everywhere. But it is about so much more than just more bits, and it is only the first step on the UHD road. Chris Forrester talked to four UHD insiders from Edgeware, Harmonic, Irdeto, Qarva about current abilities and future developments.